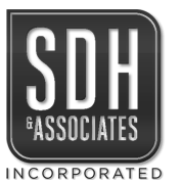 SDH thrives at quickly identifying the potential pitfalls and challenges of a property at the beginning of a project through a mixture of jurisdictional research, institutional knowledge and physical investigation. By doing this research up-front, SDH is able to determine the best and most cost effective path for every project. SDH approaches every entitlement with the goal of achieving the client’s desired outcome in a way that will be accepted and well received by the local agency and community. In the preliminary stages of design work, SDH seeks to overcome all potential obstacles in a way that poises the project for a successful engineering phase. Every project taken on by SDH becomes a part of the company legacy. As such, SDH approaches the final engineering stage of every development with the prominence that every detail needs to be carefully addressed in order to ensure a sustainable and effective design that will last through the years. Today, every developer is faced with a complex set of state water quality management requirements. SDH has experience from both private and public standpoints to not only address these requirements, but to do so in a way that will accommodate project deadlines and seamlessly integrate with site design. SDH offers a full range of surveying services and has the capacity to create, collect, and present boundary and topographical evaluation/ preparation of a wide variety of project exhibits and plans for entitlement and final engineering. Additionally, SDH performs construction surveying and staking to help insure that improvements are constructed in accord to approved plans. SDH has the technical expertise and experience required to prepare and process subdivision maps for both residential and non-residential development. SDH is experienced in creating a full range of mapping documents and exhibits including: tract maps, parcel maps, legal descriptions, and plats.